A hot water bottle was placed next to Olive Sheeran’s feet and burst shortly afterwards, severely scalding her, a court has heard. THE FAMILY OF a 90-year-old woman who, they claim, died as a result of scald injuries she suffered in a Co Dublin nursing home, have been awarded just over €54,000 damages for their own pain and suffering, loss, funeral and travel expenses arising from the tragic death of their mother and granny. 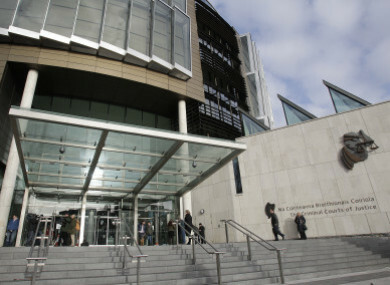 Barrister Frank Crean told Circuit Court President, Raymond Groarke today that the deceased, Olive Sheeran, suffered severe scalding of her buttocks, left thigh and calf, heels and ankles when a water bottle burst in her bed. Crean, who appeared with John McCarthy of McCarthy Solicitors Clonakilty, Co Cork, said SRCW Limited, the operators of Ferndene Nursing Home, Deansgrange Road, Blackrock, Co Dublin, had agreed to pay the family €54,406 damages as assessed by The Injuries Board. He said Carol Hayes, of Corabally, Ardfield, Clonakilty, Co Cork, a daughter of the late woman, had sued SRCW Limited on her own behalf and on behalf of her brothers Mark (57) and Conor Sheeran (55) and Sheeran’s grandchildren Adam (18), Jennifer (17), Alexandra (26), and Thomas Sheeran (20) and Peter (28), Matthias (26) and Oisin (23) Hayes. Hayes, an office manager, told the court in an affidavit that she was asking the court to approve the Injuries Board assessment “in respect of the fatal injuries” her mother, then 89, had sustained in an accident at Ferndene on 6 January, 2017. She said that her mother had been a resident in the home. Crean, outlining Hayes’s affidavit, said that Sheeran had required expert nursing care and the accident happened at 6pm in the evening. About five minutes before the accident a nurse at the home had visited Sheeran’s room and had taken two water bottles away to refill them. A water bottle had then been placed next to Sheeran’s feet and burst shortly afterwards, severely scalding her. Crean told the judge that following an investigation all water bottles had been removed from use in the home and the investigator had recommended they should be replaced with coded stock which should be inspected on a monthly basis and replaced annually. Hayes stated in her affidavit that her mother had been rushed by ambulance to the emergency department of St Vincent’s Hospital where she had been assessed before being transferred to the burns unit of St James’s Hospital where her burns had been treated with antiseptic dressings, antibiotics and analgesia. The court heard that Sheeran had developed pneumonia and a urinary tract infection and had required intravenous antibiotics to treat these symptoms. She had remained in hospital for about three months by which time her wounds had almost completely healed. Hayes said that in her view her mother did not fully recover from the injuries she had sustained as a result of the accident and the complications she suffered while receiving treatment in hospital and had remained bedridden from the date of her injuries until her death. Crean, in an overall opinion presented to the court, said that the water bottle had been covered by a cloth bottle cosy so the defect in it may not have been obvious to the nurse. He felt a court at a full trial would be unlikely to criticise the nurse who had refilled the water bottle and placed it in Sheeran’s bed. He said he was recommending that the court accept the €54,406 assessment. Disbursement of the monies had already been agreed by Sheeran’s dependants. Groarke, approving the settlement, complimented Hayes for having pursued the matter as she had done. Email “Family of 'severely scalded' 90-year-old woman awarded €54,000 in damages from nursing home”. Feedback on “Family of 'severely scalded' 90-year-old woman awarded €54,000 in damages from nursing home”.